Assam State Rural Livelihoods Mission Society has released notification for filling up 370 vacancies. There is Block Coordinator MIS Assistant and other posts. Applicants who are interested and eligible for ASRLMS Recruitment 2018 may apply through online mode only. 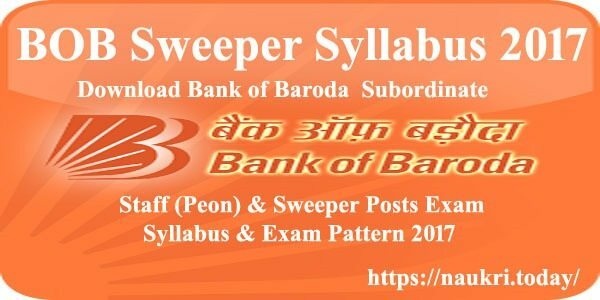 Starting date of submission application form is 16th July 2018. Applicants are humbly requested that they can Submit ASRLMS Vacancy Online Form before the last date i.e 06.08.2018. The online application form is available on official site as well as here also. Furthermore, details regarding ASRLMS Block Coordinator Jobs read our full page carefully. Department of Assam State Rural Livelihoods Mission Society is inviting online application for employment of 370 Vacancies. This is a great opportunity for candidates who are interested in ASRLMS Career. Online Application form of ASRLMS Jobs already available on official site. If you are interested and fulfill eligibility criteria must submit your form before on 06th August 2018. 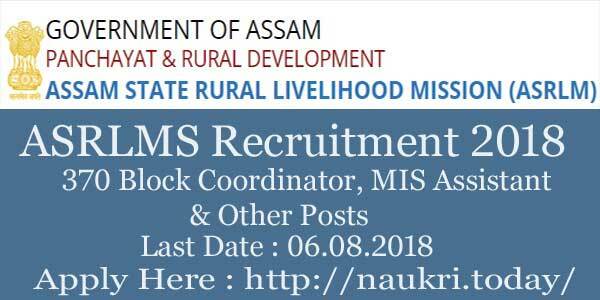 Rest details of ASRLMS MIS Assistant Vacancy like application fees, selection criteria, how to apply and others are mention below. Candidates who wish to apply for Assam Livelihood Recruitment must check eligibility conditions. Before fill online application form you are humbly requested that ensure you are eligible or not. Details of eligibility like education qualification, Age Limit & others mention below. Candidates should have Graduation & Post Graduation Degree from recognized University For ASRLMS Recruitment 2018. Applicants also have relevant experience of post. Furthermore, details check ASRLMS Notification 2018, which is mention below. The age criteria are decided on the basis of 01.04.2018. Minimum age is required 23 years for ASRLMS Vacancy 2018. Candidates should not be more than 45 years. Upper age relaxation is applicable for SC/ST 05 years while OBC/PWD 03 years. Rest details check ASRLMS Recruitment Notification, mention below. Interested and eligible candidates may apply online either here or official site. The ASRLMS Recruitment online form available from 16th July 2018. You can submit your application form before the last date 06th August 2018. Candidates must have valid email id and mobile no. applying for ASRLMS MIS Assistant Vacancy. Applicants also have scan copy of photograph and signature. Now you can follow some easy steps to apply for Assam Livelihood Jobs. First of all candidates visit to official site asrlms.assam.gov.in. Click on the link Download Assam ASRLMS Vacancy Notification. Read full notification carefully to ensure your eligibility. There are groups made for all post, mention below. Select your respective group and then enter all require information. Now upload signature and photograph. Submit ASRLMS Jobs application Form. Conclusion : Assam State Rural Livelihoods Mission Society has announced advertisement for filling up 370 vacancies. The registration of ASRLMS Recruitment 2018 is available till last date 06.08.2018. Full information is available on the above article.